We’re excited to announce that there’s a new and easy way to connect your Jetpack-powered WordPress site to VaultPress. With a single click, you can register for a free 5-day VaultPress trial and begin backing up your site immediately! During your trial, you’ll have access to everything that VaultPress Lite has to offer, including daily backups, our automated site restore system, and support from our team of WordPress experts. 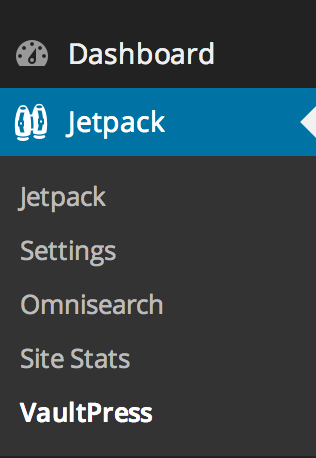 To use our one-click setup and free trial offer, you first need to install Jetpack and connect it to WordPress.com. Once Jetpack is connected, install the VaultPress plugin and head to the “VaultPress” page in your admin dashboard. From there, you can click the “Start free trial” button to connect to VaultPress. When you click the trial button, you’ll receive a free VaultPress Lite account to try for 5 days. Your site will be automatically connected to VaultPress, and your first backup will begin. If you’d like to continue using VaultPress when your trial ends, you can subscribe by visiting your VaultPress dashboard and entering your credit card information. Here, you can also choose a different plan level or annual billing. Your VaultPress account will be automatically linked to your WordPress.com account when you register through Jetpack. 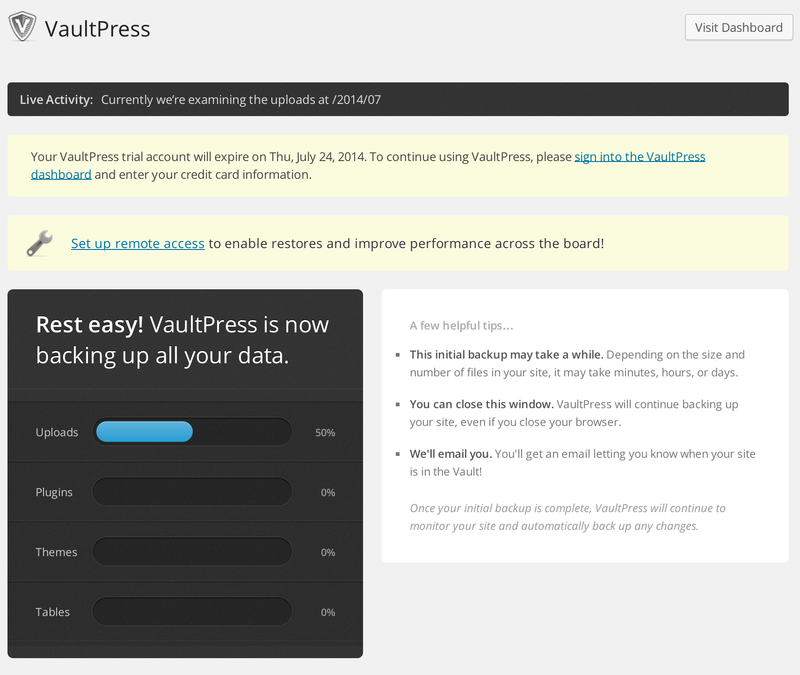 In order to access the VaultPress dashboard, you’ll need to log in using your WordPress.com username and password. If you decide that VaultPress is not for you, the service will be automatically canceled after the 5-day trial period ends. Please note that you don’t need to do anything. We hope you’ll take VaultPress for a spin! If you have any questions, please send us a message at vaultpress.com/contact/.